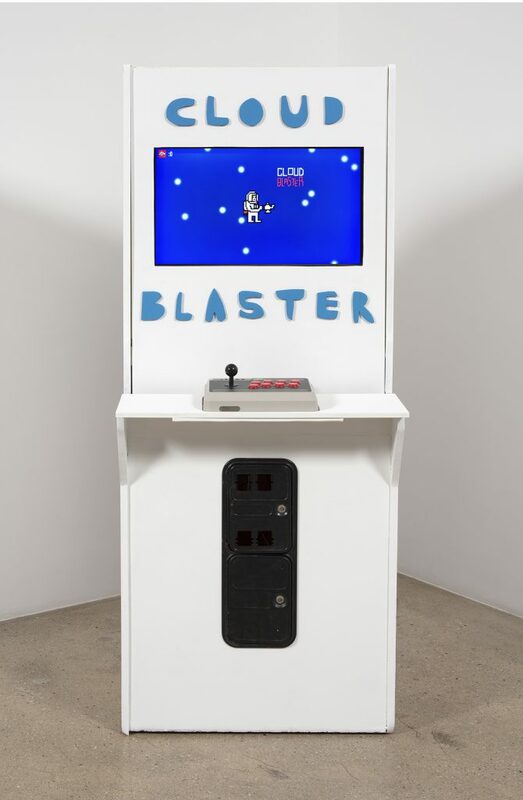 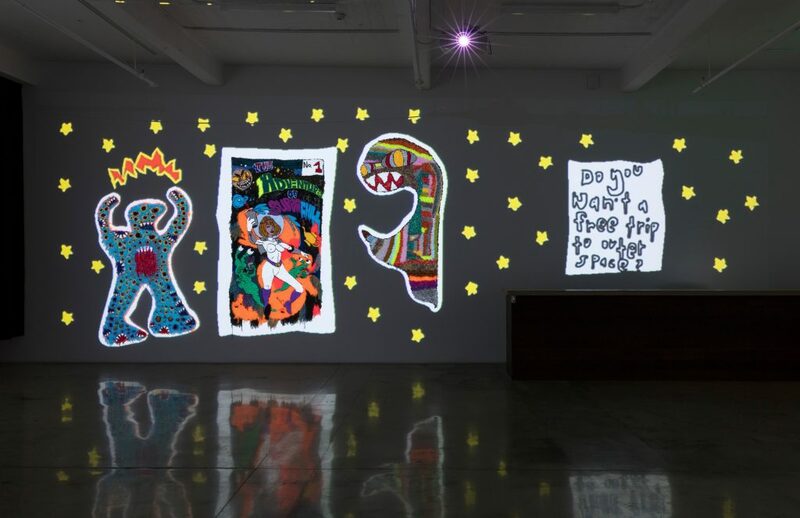 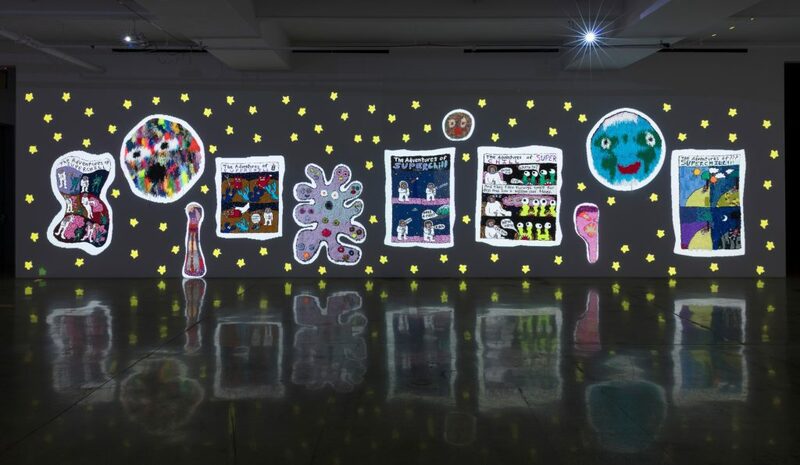 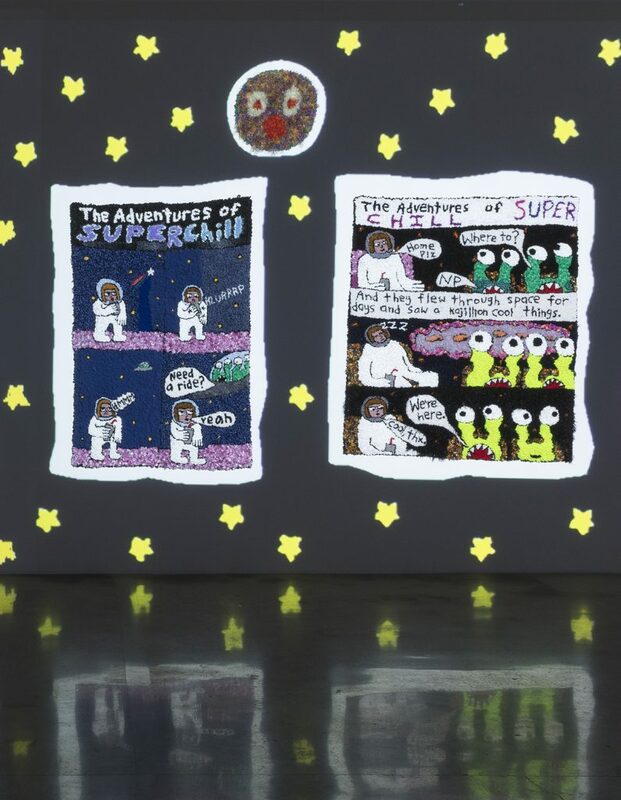 Steve Turner is pleased to present Hannah Epstein’s second solo exhibition at the gallery, Do You Want A Free Trip To Outer Space? 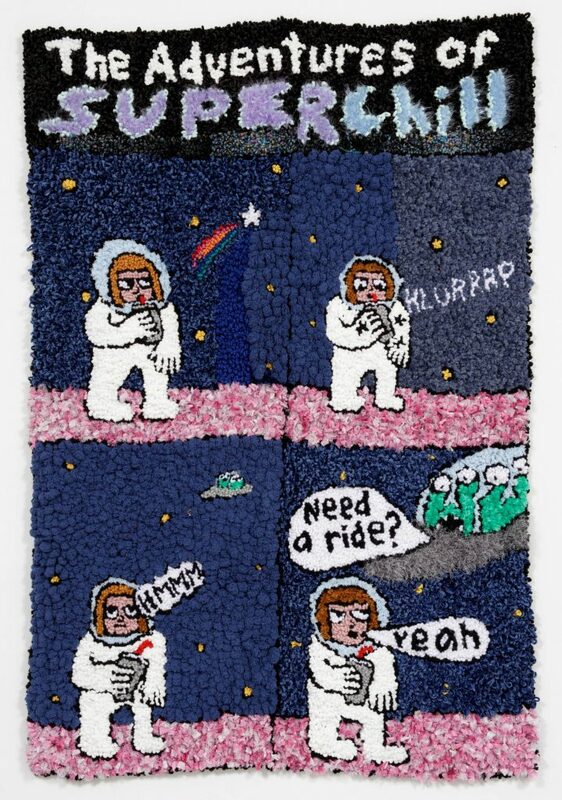 in which she will introduce Superchill, the title character in her new comic strip. 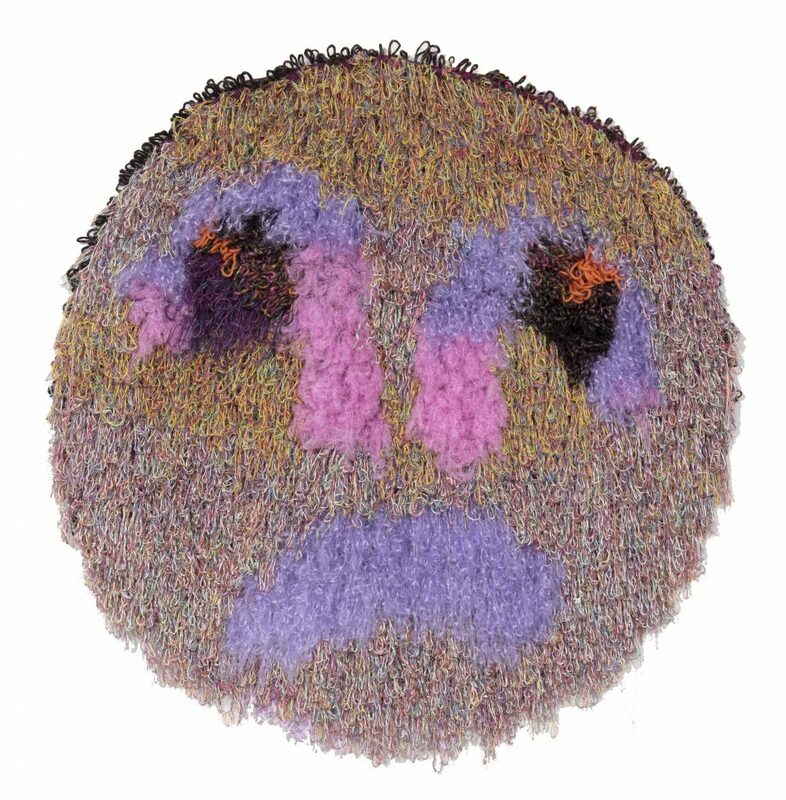 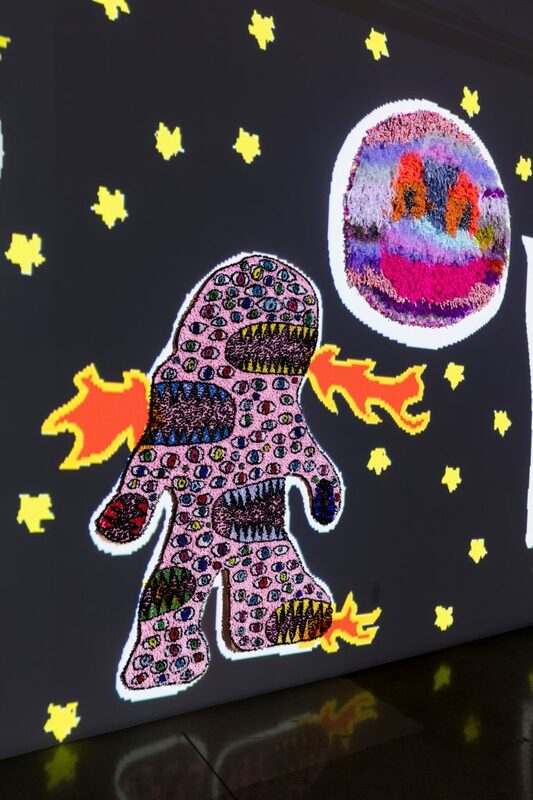 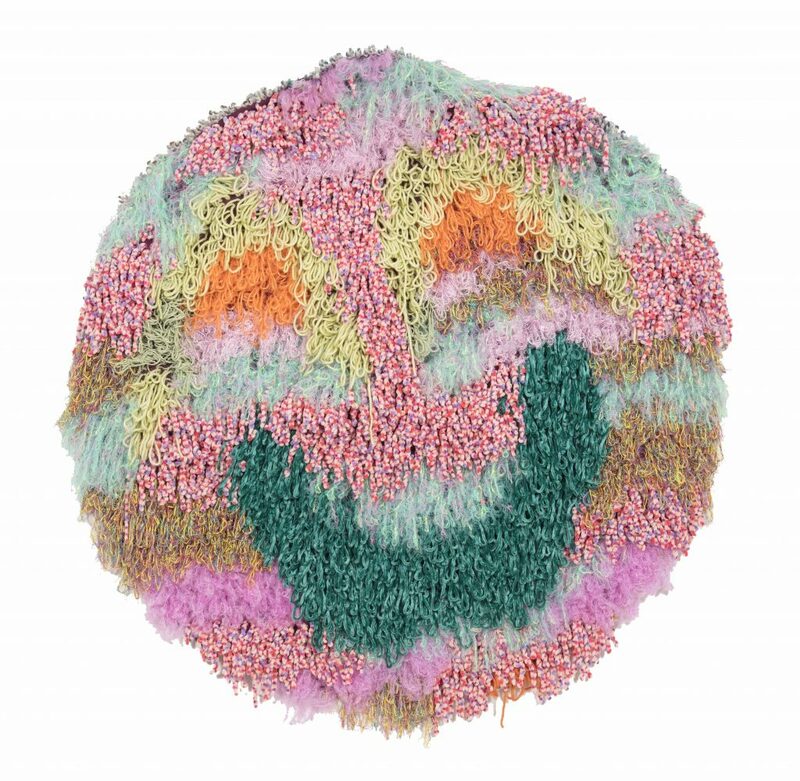 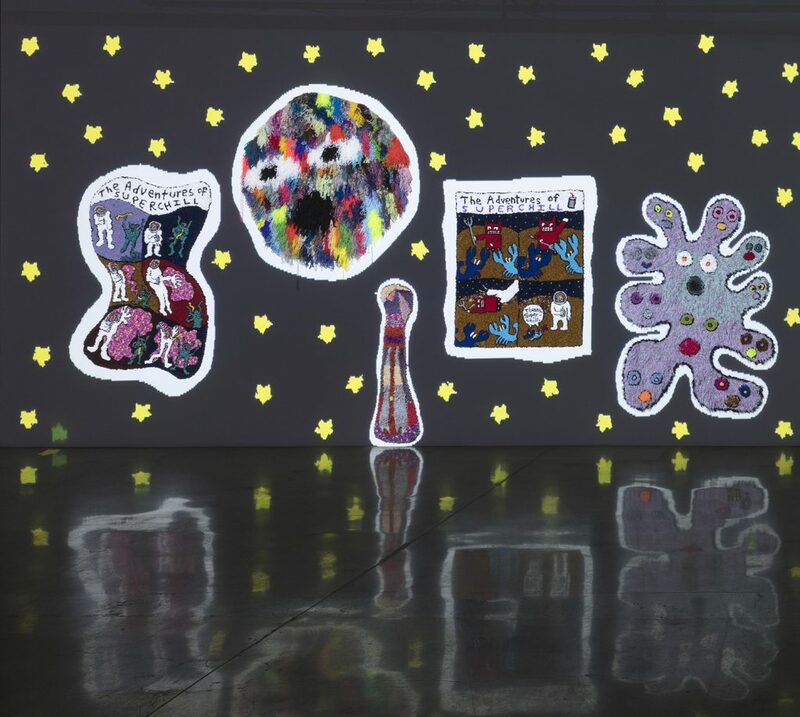 With hooked rugs, video animations and a video game that visitors may play, Epstein has created an immersive environment that represents contemporary anxiety and a possible antidote. 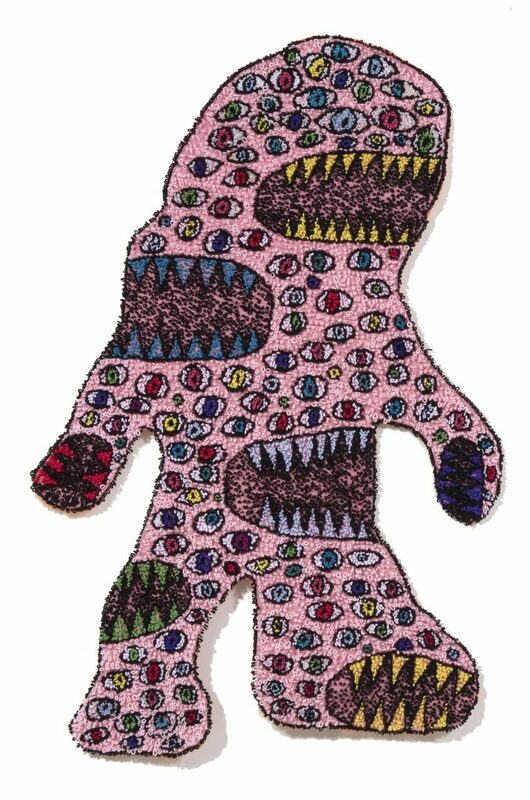 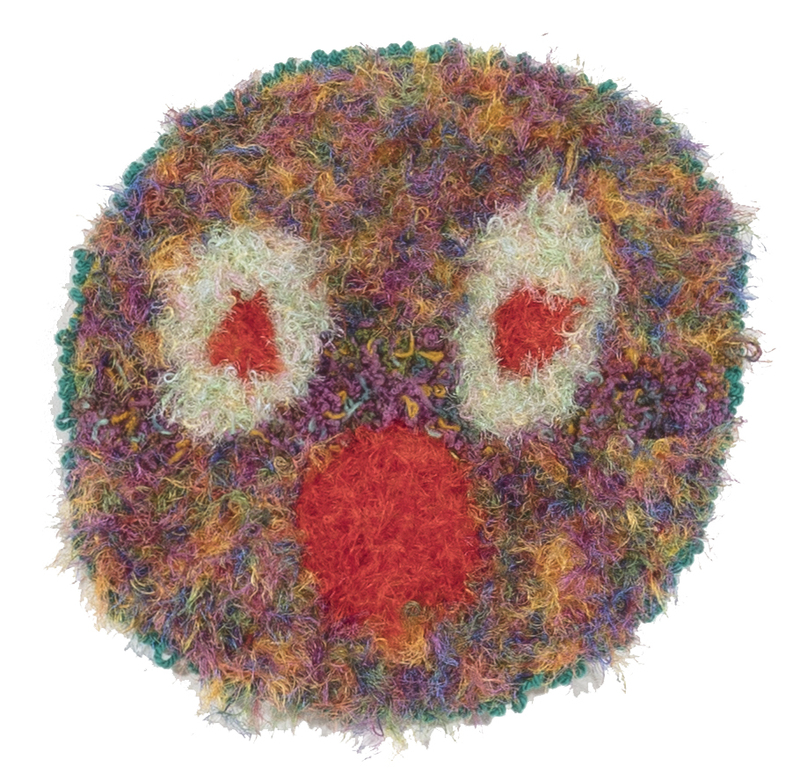 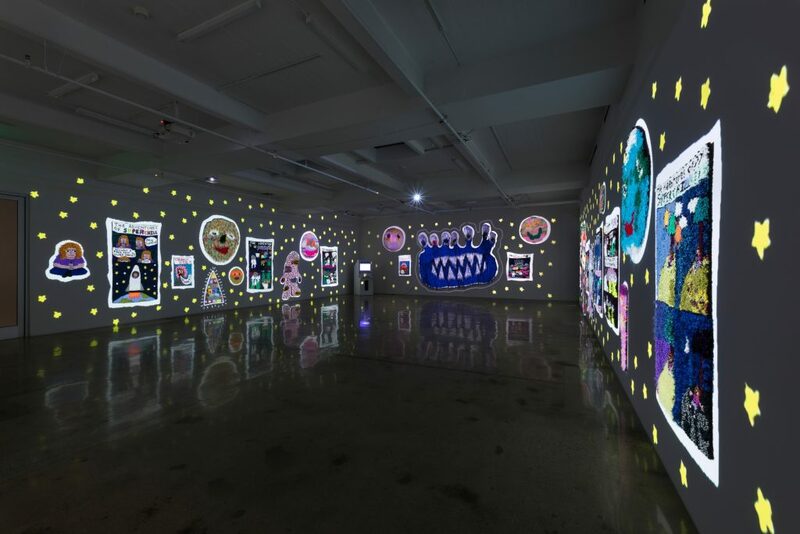 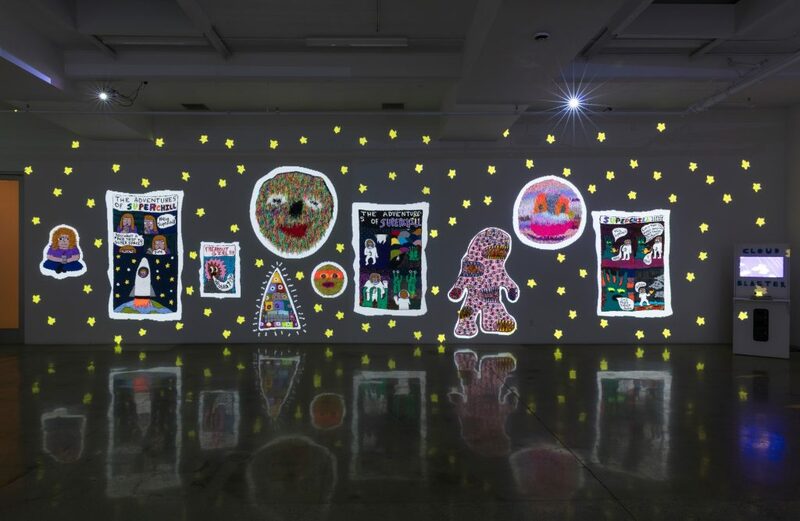 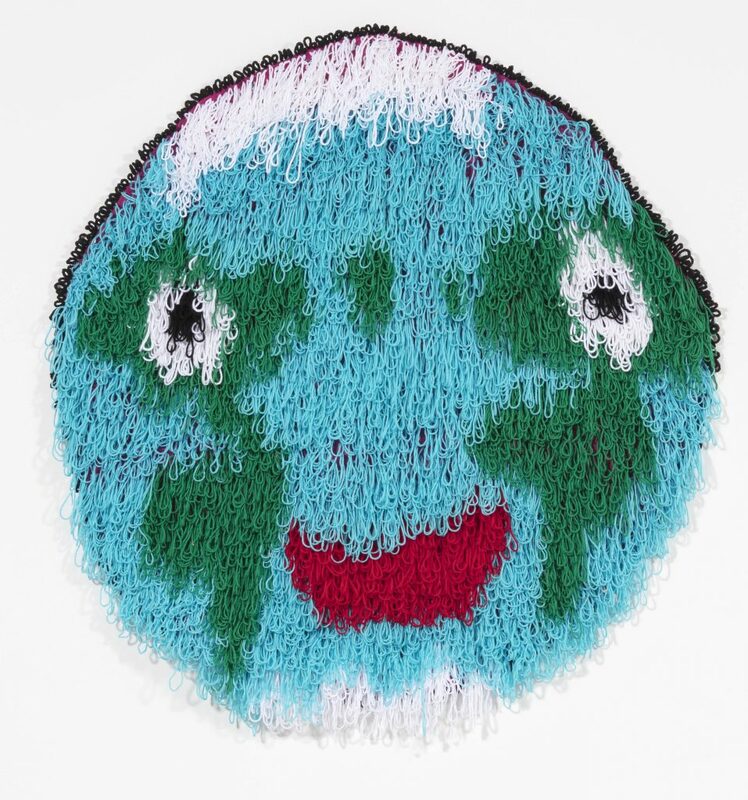 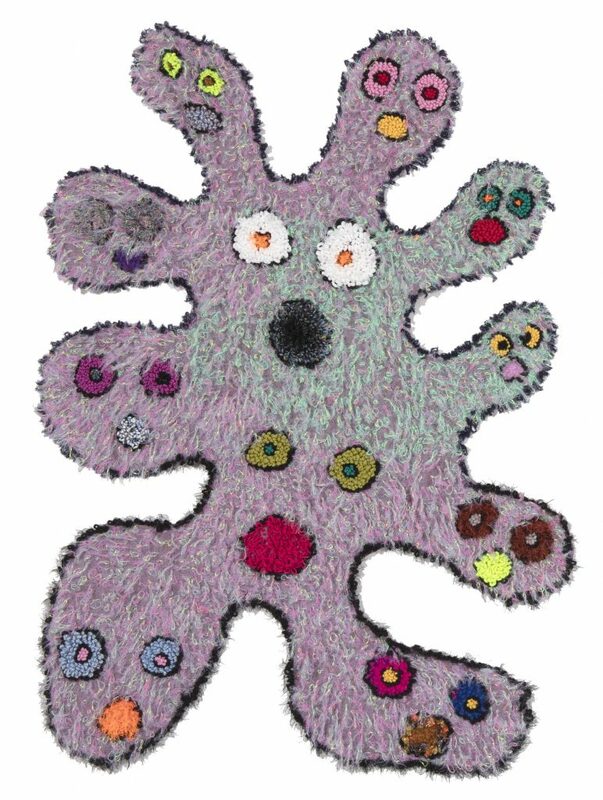 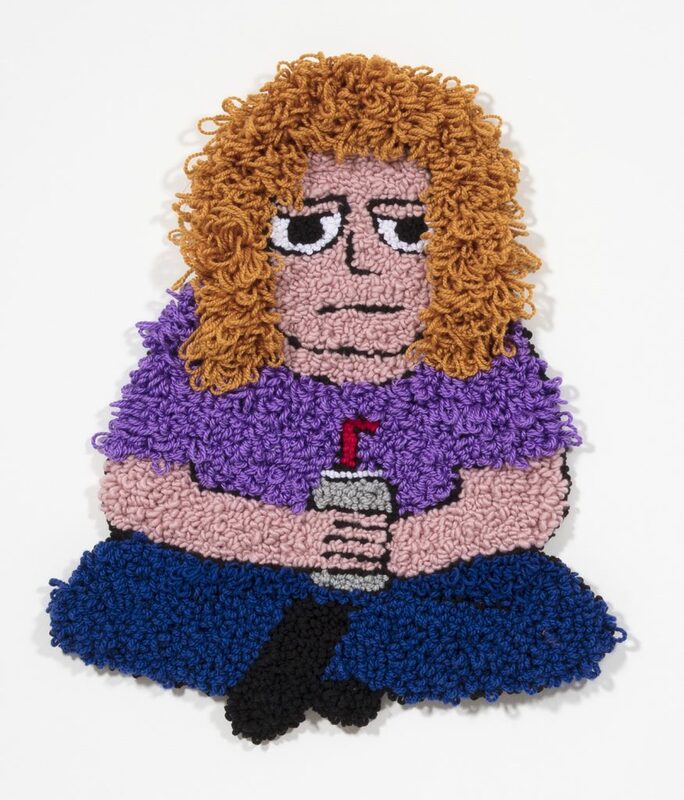 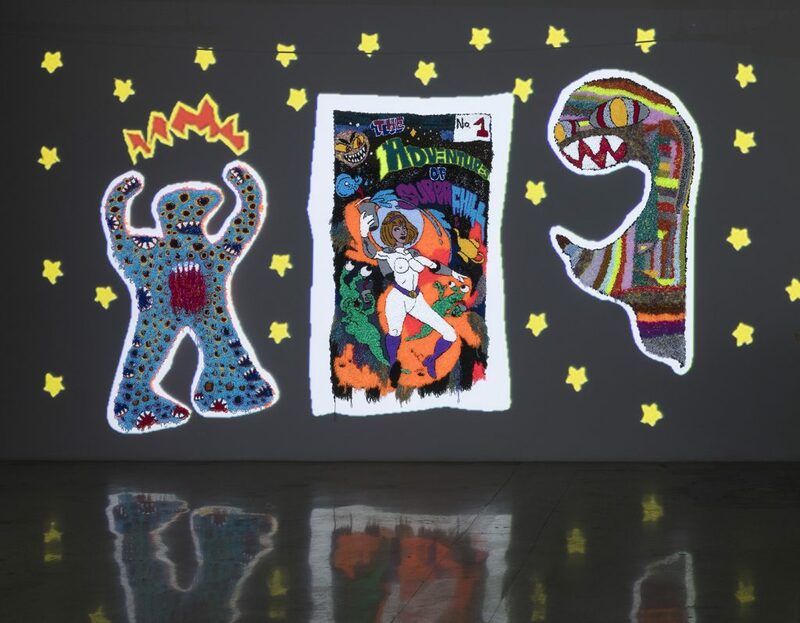 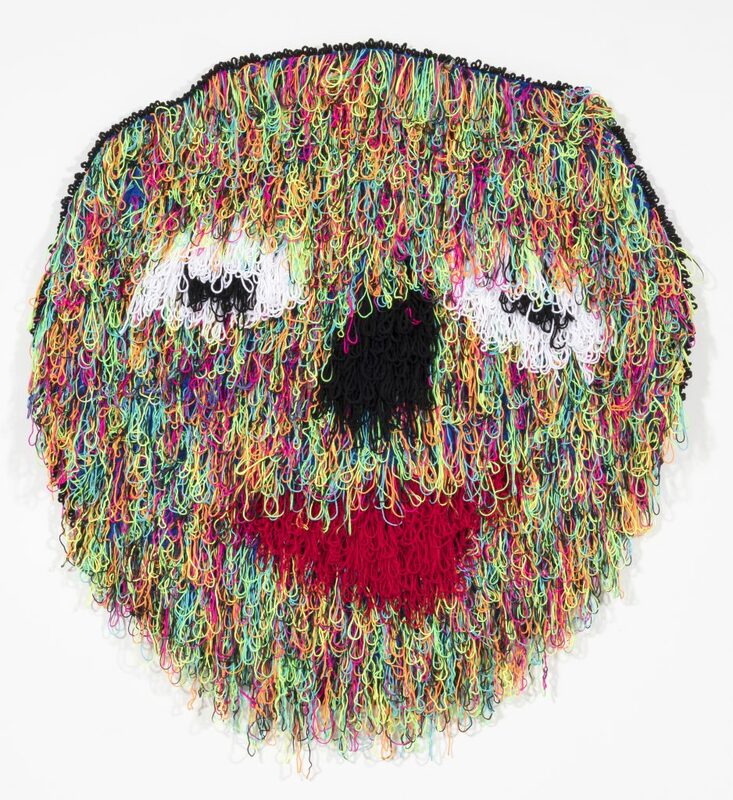 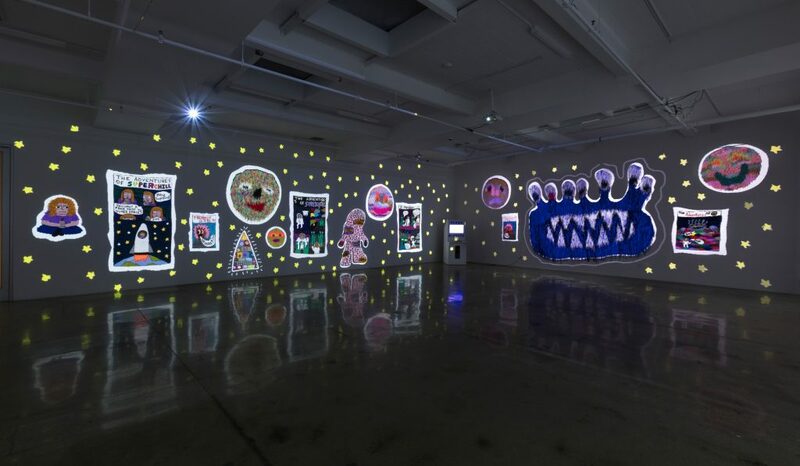 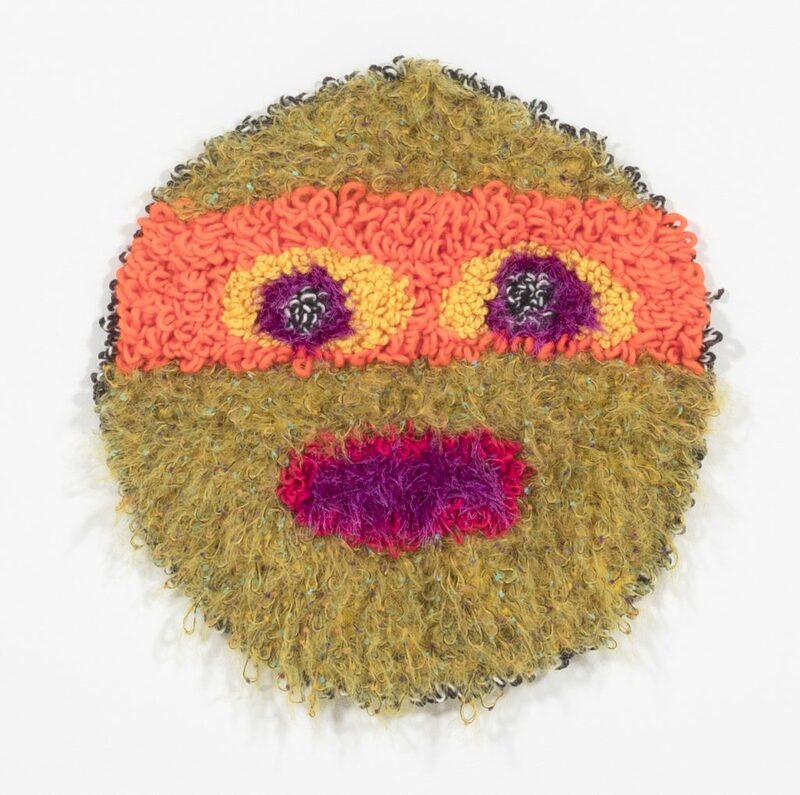 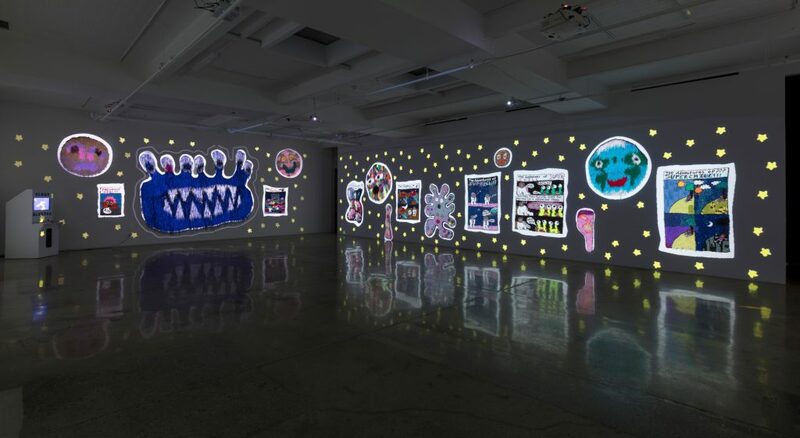 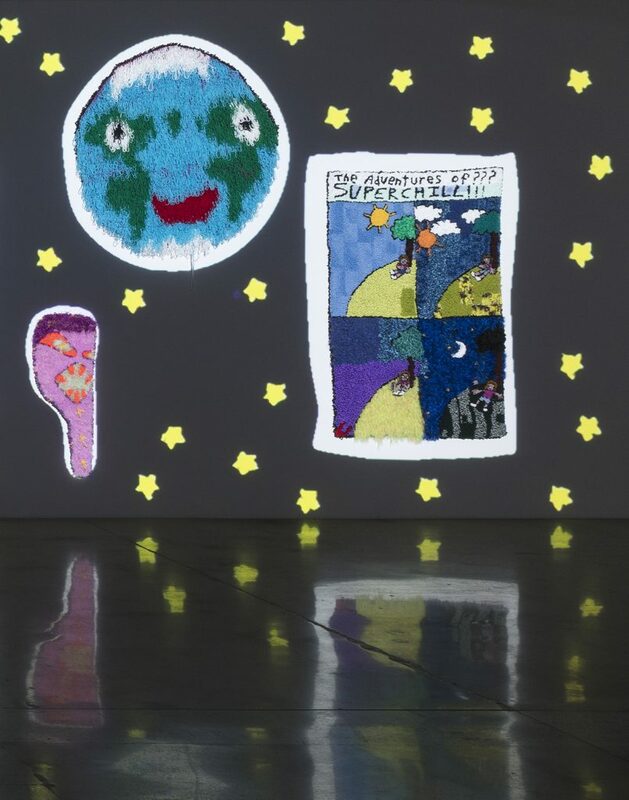 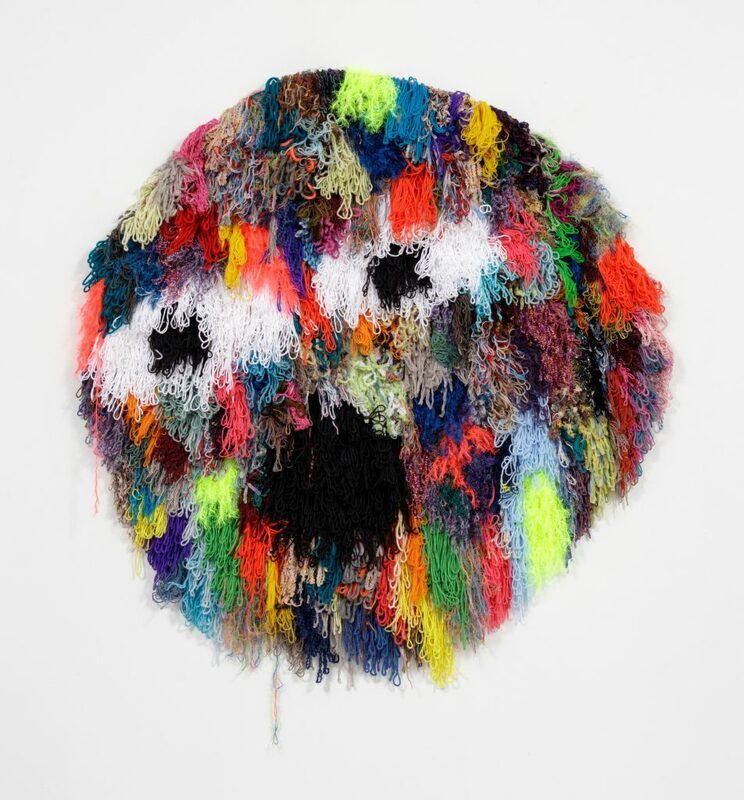 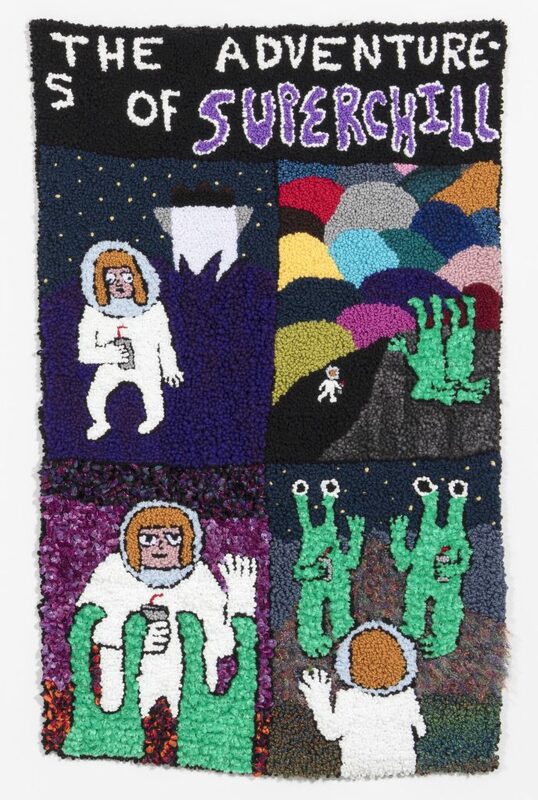 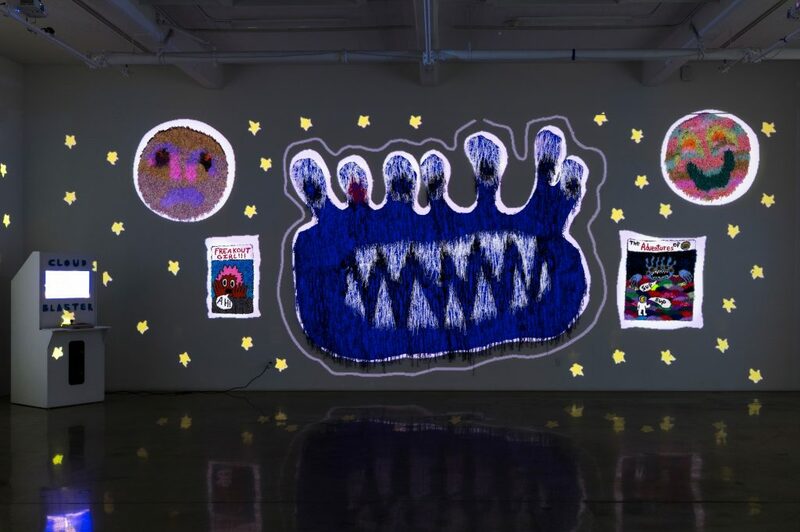 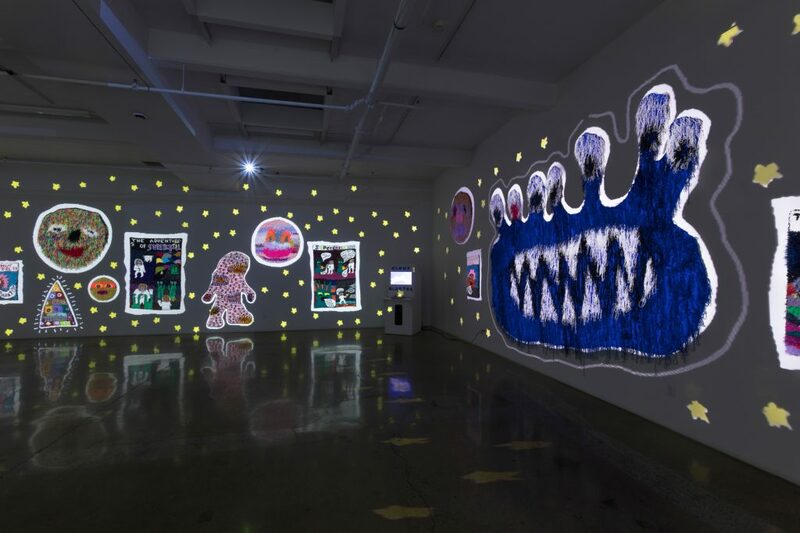 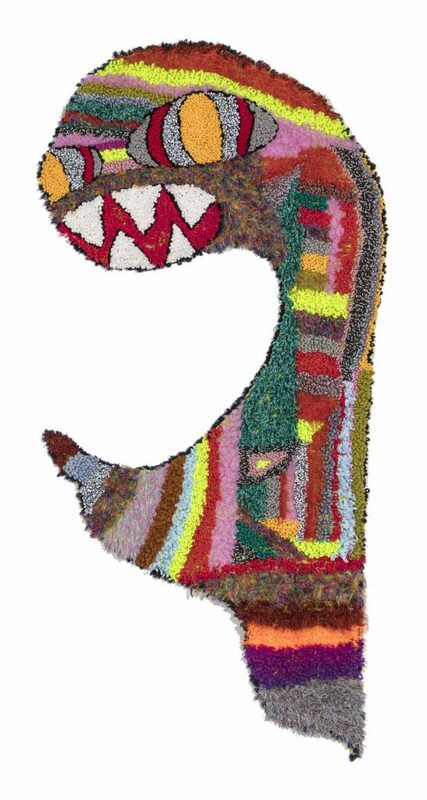 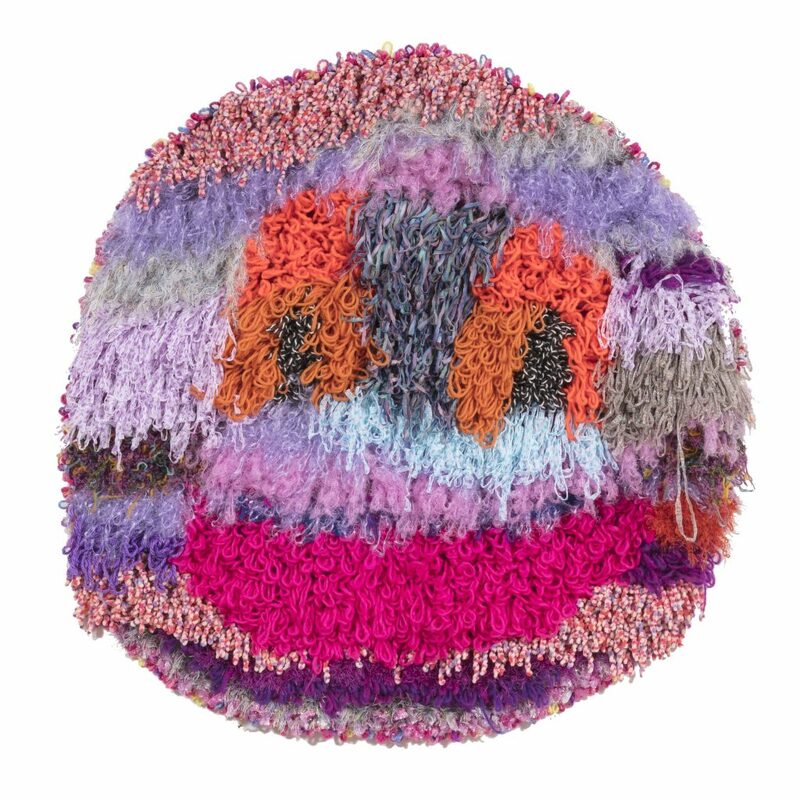 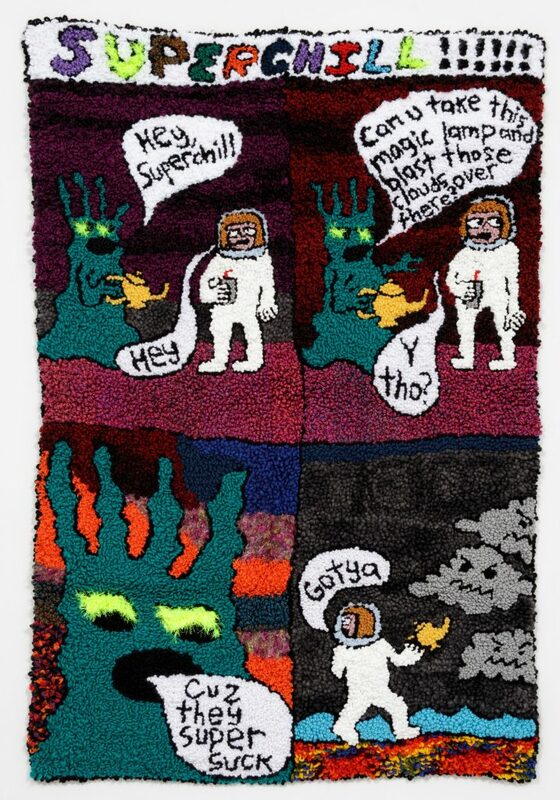 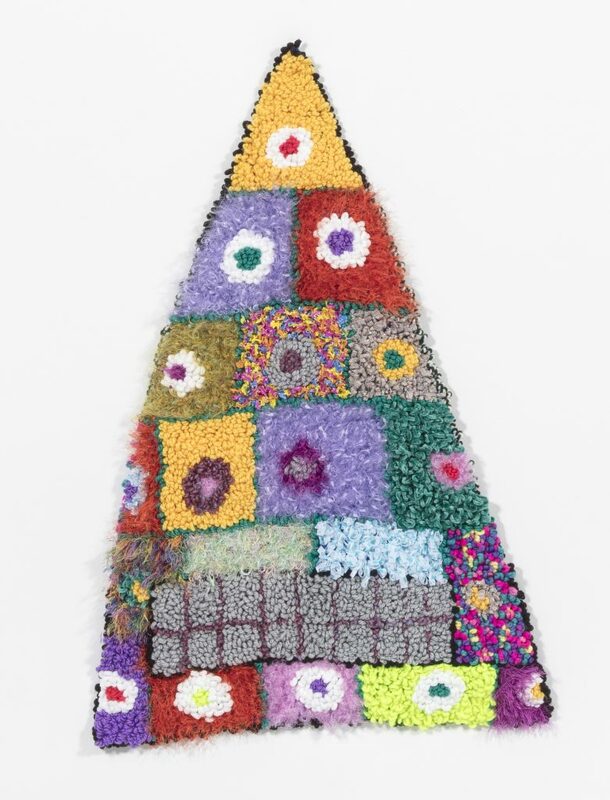 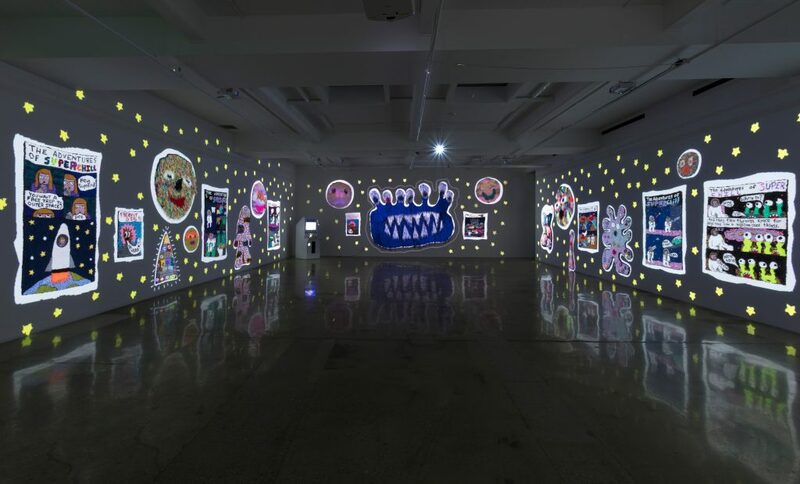 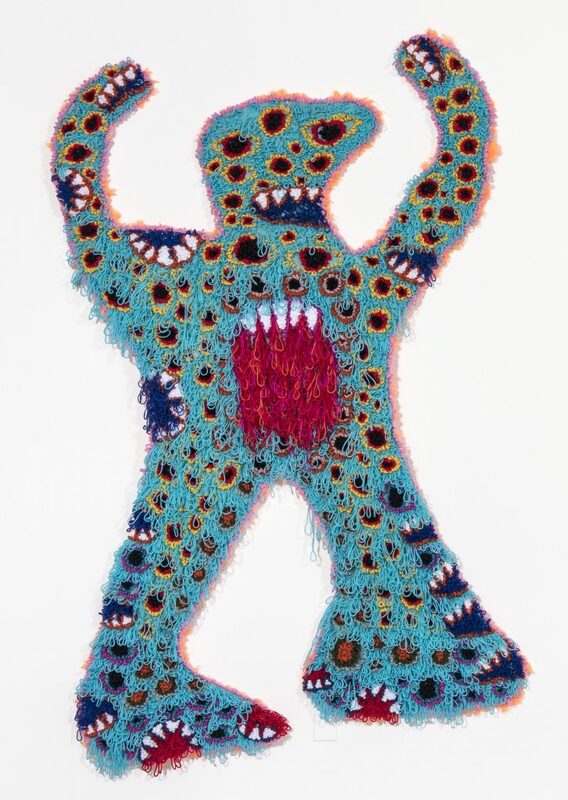 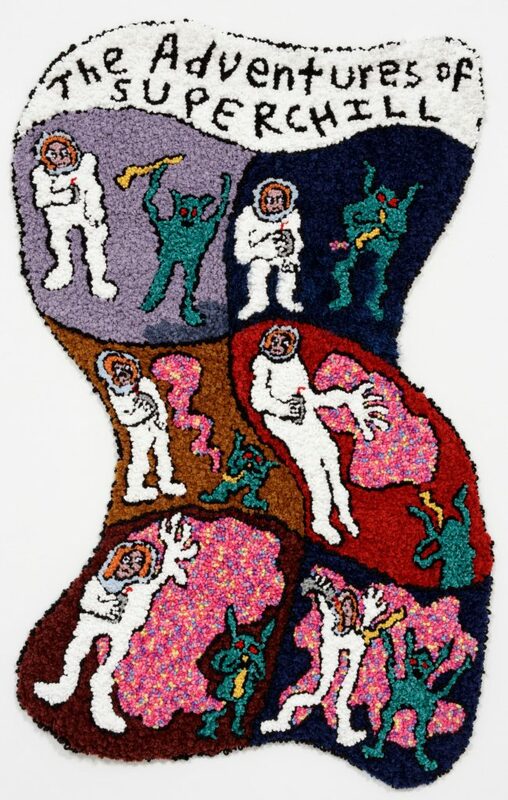 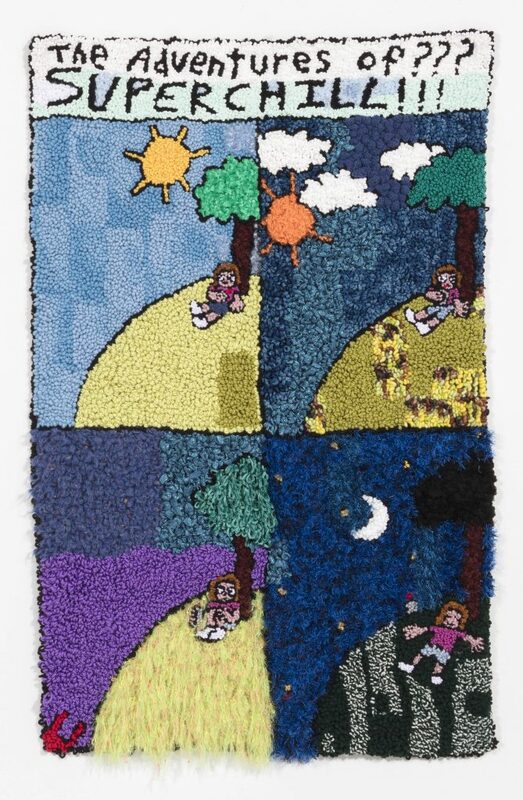 Epstein describes herself as “a feminist folklorist of the Internet Age” who in past works has created hooked rugs that depicted Internet memes and monsters. 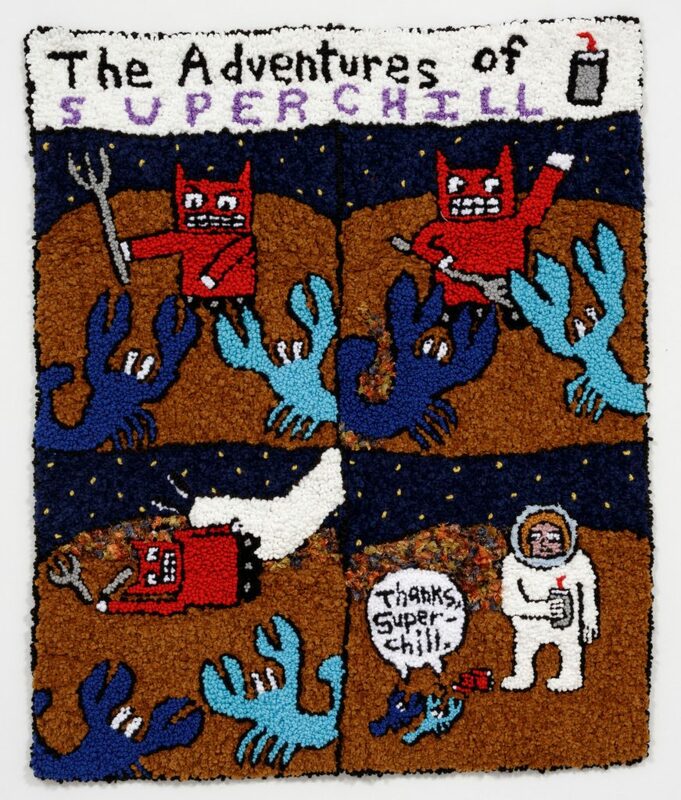 With Superchill, Epstein has created a new superhero, one who is not endowed with save the world powers like Superman or the like. 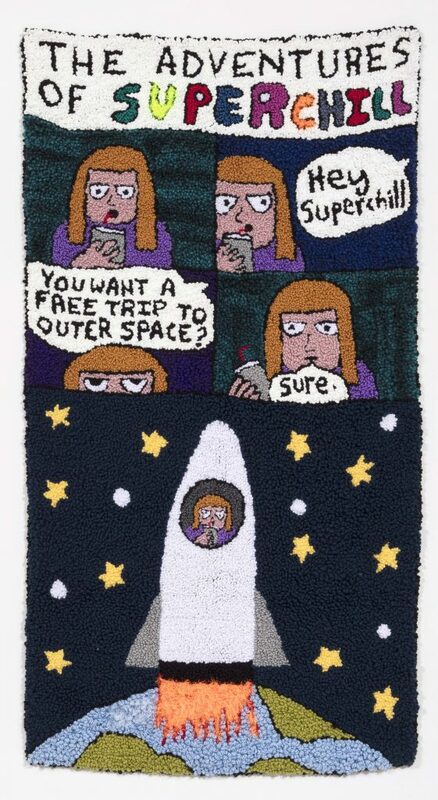 Instead, Superchill’s special power is her ability to stay calm while everyone else is freaking out. 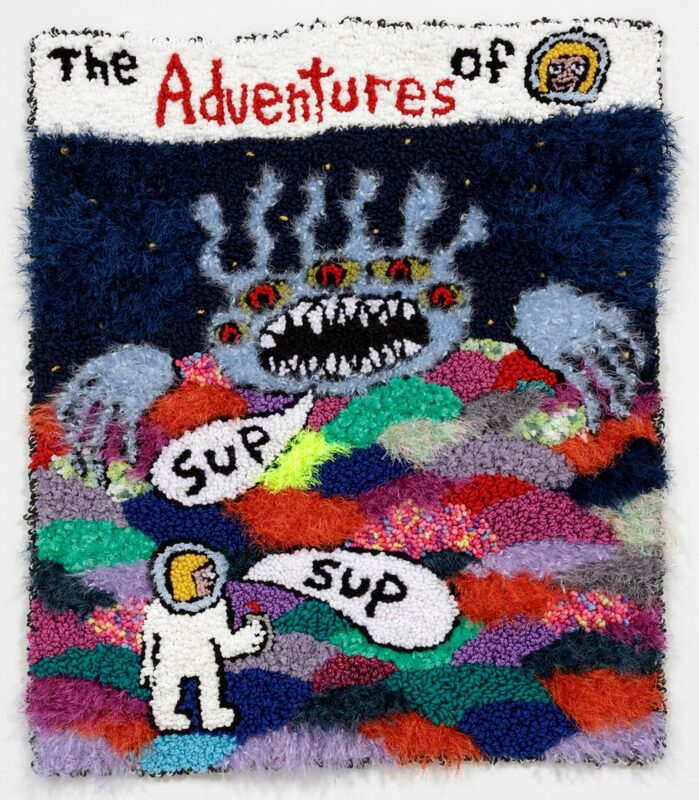 Hannah Epstein earned a BA from Memorial University of Newfoundland (2009) and an MFA from Carnegie Mellon (2017). 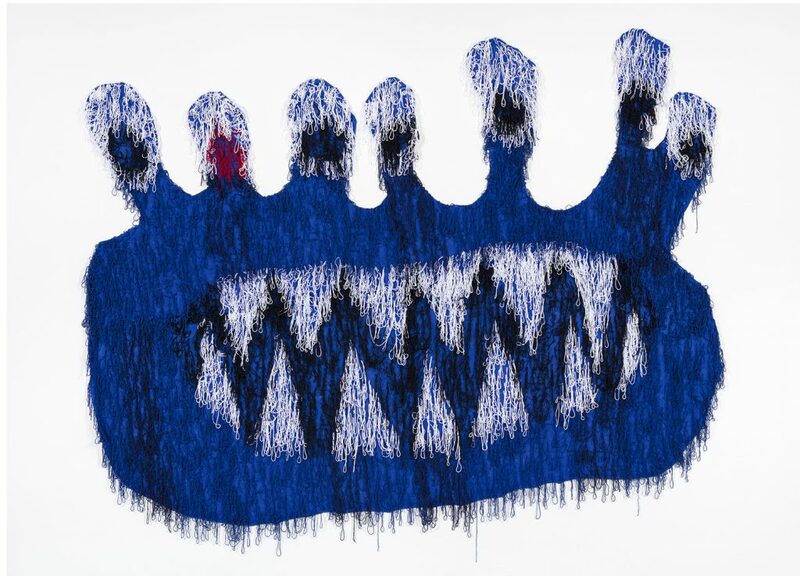 Her work has been included in exhibitions in Canada and the United States since 2011. 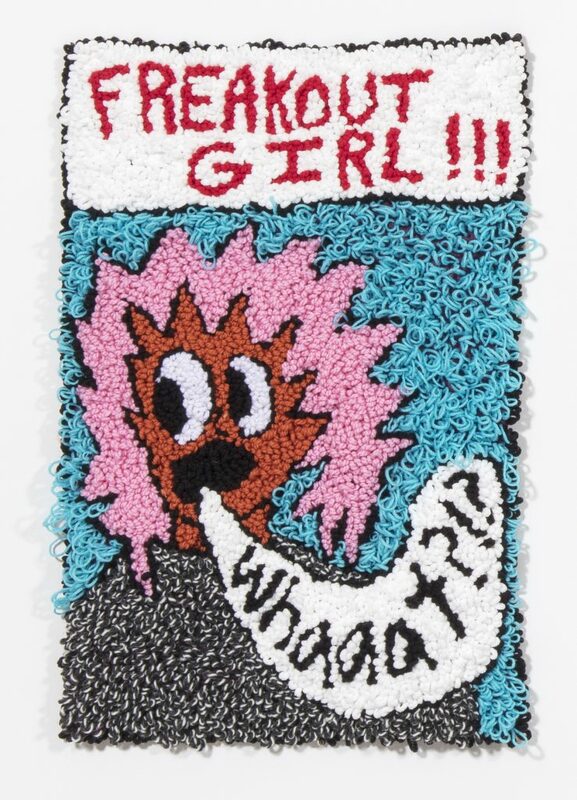 She lives and works in Toronto and Los Angeles.